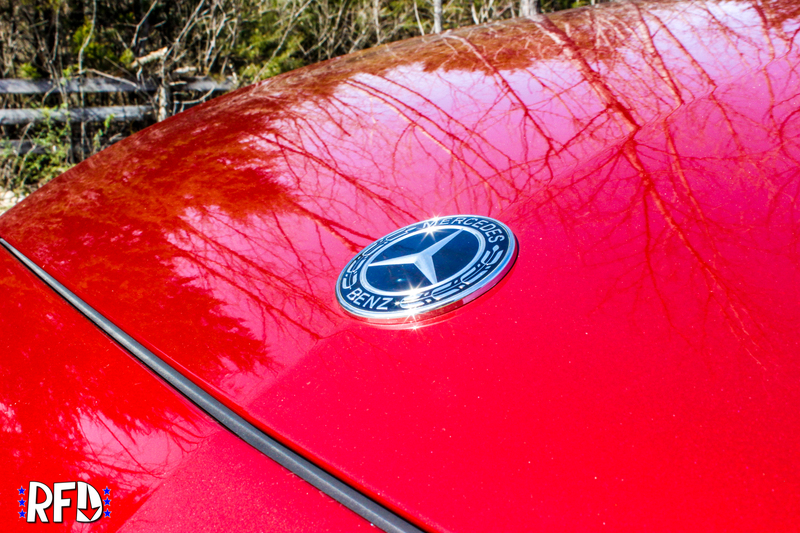 Crossovers and SUVs are no doubt the hot commodity in the automotive market right now. People are all about the “what if?” and because of that, they have been buying these large, tall, bland-mobiles for nearly two decades now. But what if I told you there was another option… there is an automobile that drives like a sports sedan, but can carry up to seven people? Unfortunately to many, the term “wagon” conjures up images of the “Family Truckster” of National Lampoon fame and wood-sided B Body behemoths from General Motors. 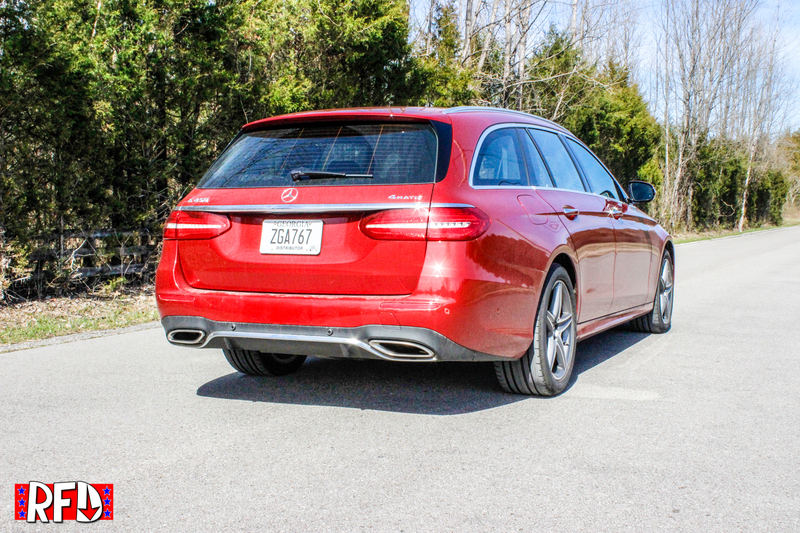 This is unfortunate though, as the wagons of today are nothing like that. Though Mercedes wagons date back to some of the earliest automobiles produced by Mercedes-Benz, the first wildly successful variation was introduced in 1978 with the W123 chassis and looked better, but still closer to what people fear today. That is no longer the case though. 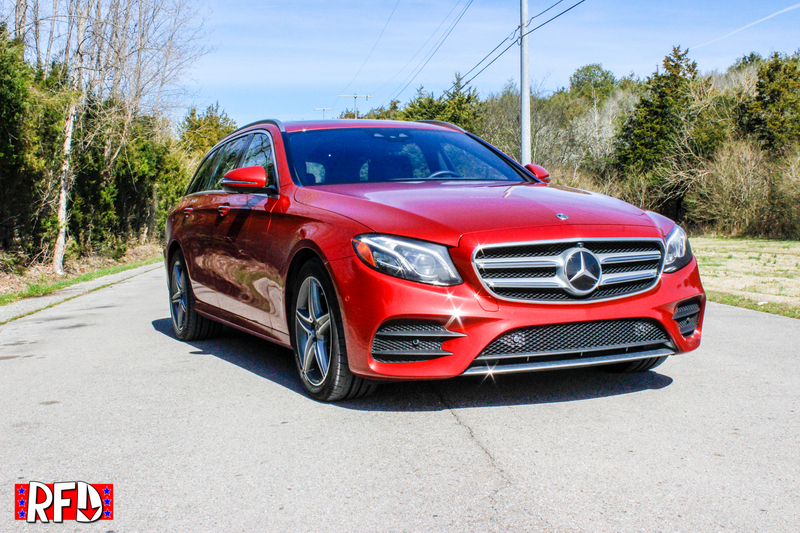 In 2019, they are sleek driving machines made to give you everything you love about a sedan, with the functionality of something much larger. 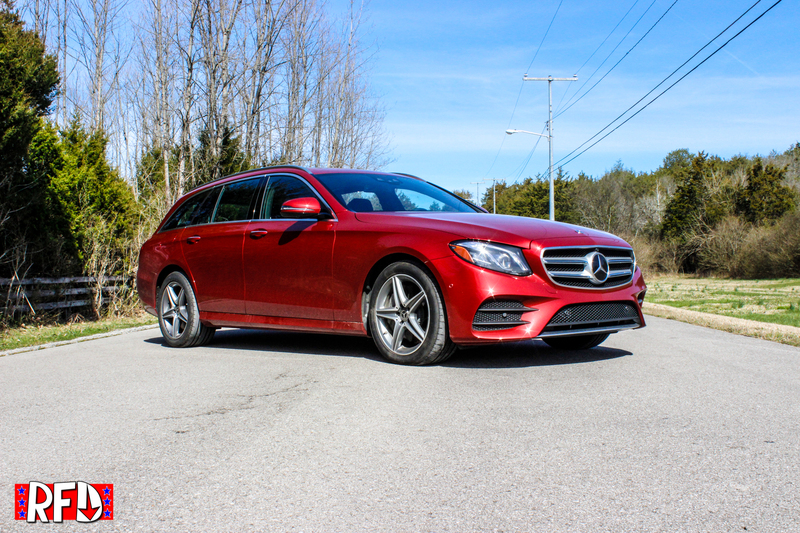 Starting at $64,200, the 2019 Mercedes-Benz E450 Wagon 4MATIC may be one of the best examples of a new wagon for sale in the United States. 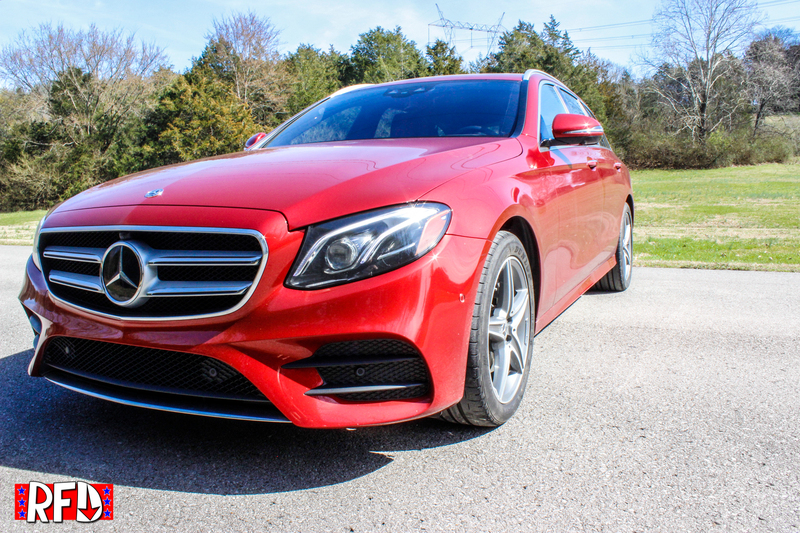 The current generation of the E class has been in production since 2016, but new for 2019 is the E450 with a more powerful twin-turbo V6. 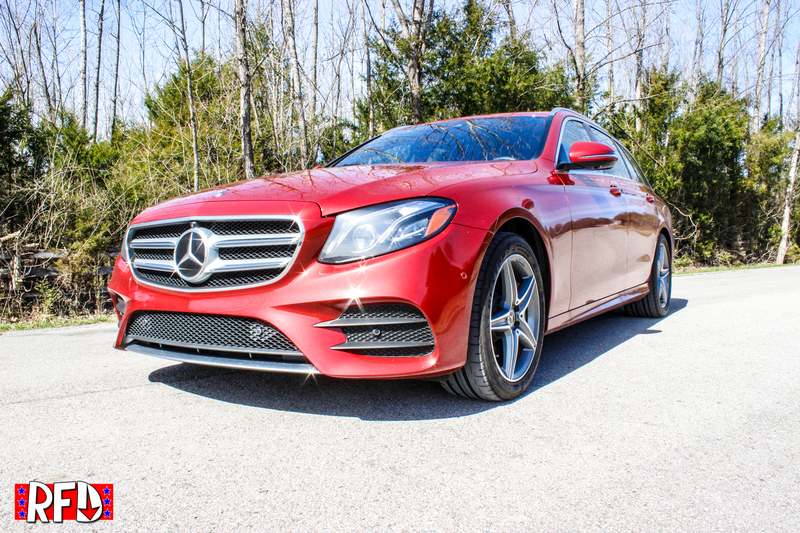 The E450s 362 horsepower is a respectable jump over the 329 produced in the E400 it replaces. The torque jump of 16 up to 369 is much smaller, but still welcomed. So what do all these numbers translate to in driving experience? It’s quick. Really quick. The 4300 lb car can reach 60 mph from 0 in just 4.8 seconds. For comparison, this seven passenger car reaches 60 faster than the 2019 Honda Civic Type R. It’s a ton of fun to drive around town and a complete sleeper. No one expects what looks to be a “mom-mobile” to drag them outright at light. 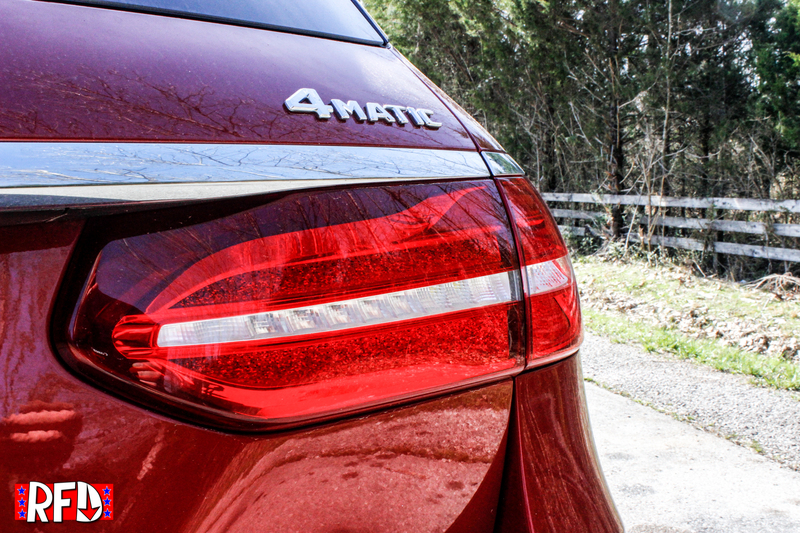 The 4MATIC AWD system is great, especially when combined with the turbo fun. Turbo lag is not bad, but you do know when it gets there. The way the car pulls when the boost is built is absolutely hysterical. 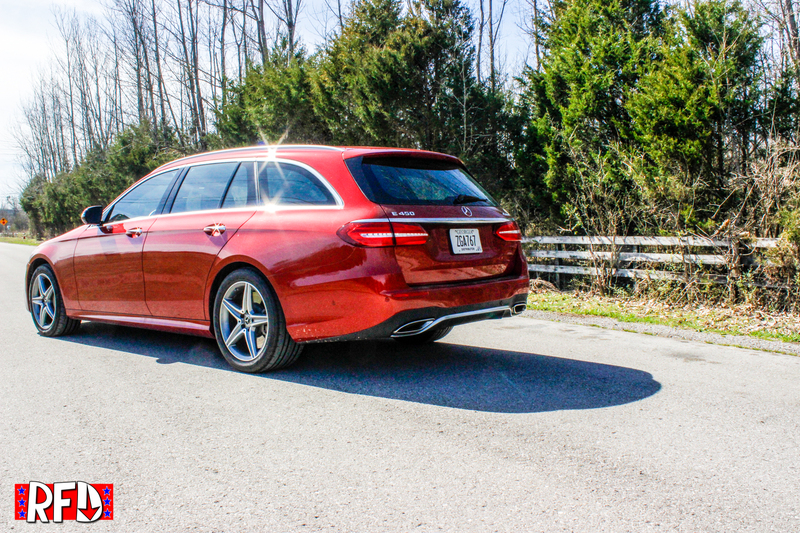 As fun as the E450 already is, it is almost terrifying that Mercedes builds the monstrously faster, 3.0 second 0-60, 603 horsepower E63 S Wagon. I can’t wait to drive it. 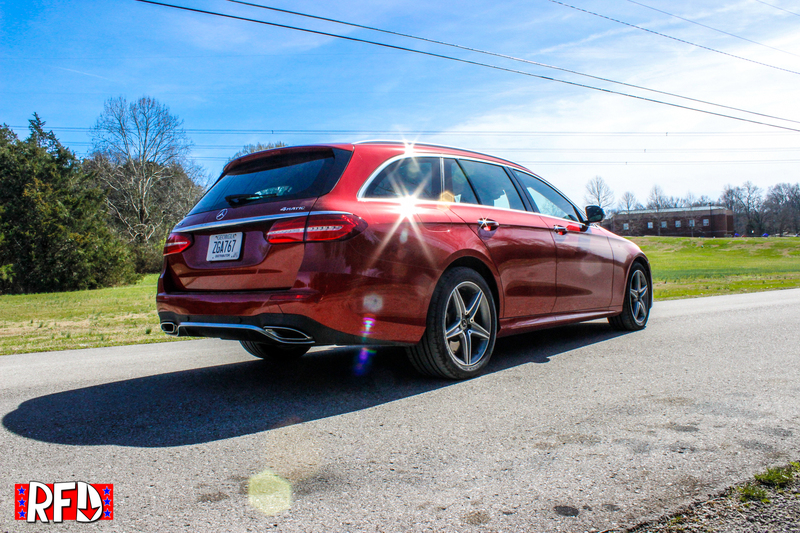 On the corners and transitions of my favorite back roads, the E450 Wagon is just as fun. Somehow the weight disappears as you fly through the corners. Turn in feels confident and the seven seater inspires you to go faster and faster. 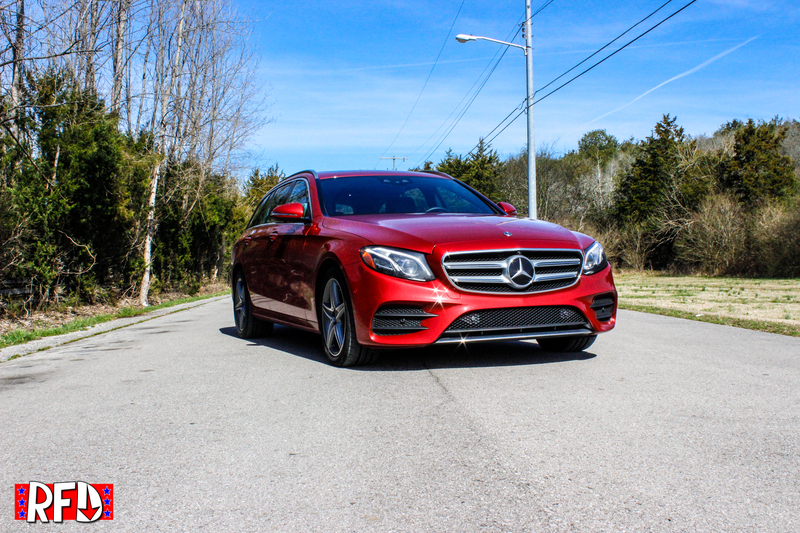 The transmission can shift a bit rough in dynamic(sport) mode, but credit to Mercedes as the transmission does shift incredibly quick. The only thing I found wanting was more brake feel. The electronically controlled brake actuator did not give me the feedback I was looking for and robbed a little of the turning confidence from the drive. At times I couldn’t tell if there was more brakes available or if I was at the end of my leash. 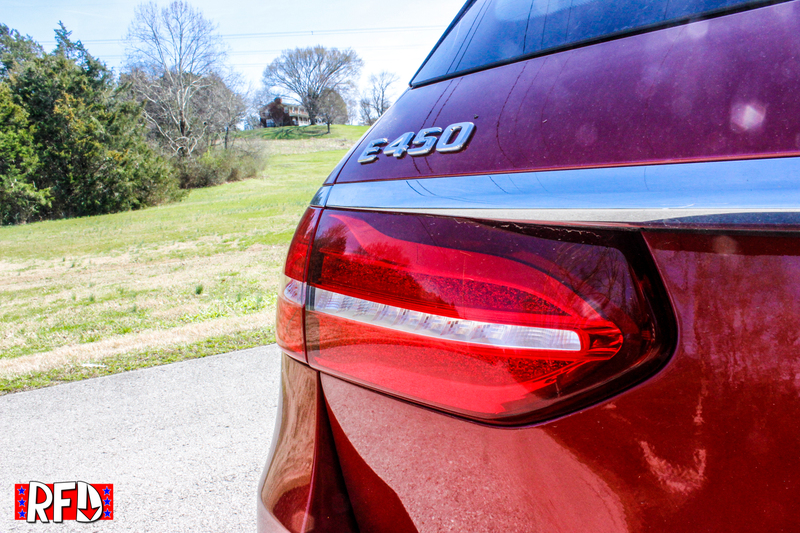 Regardless the E450 handled itself great, especially considering capability inside. First of all, the E Wagon can carry up to seven passengers. 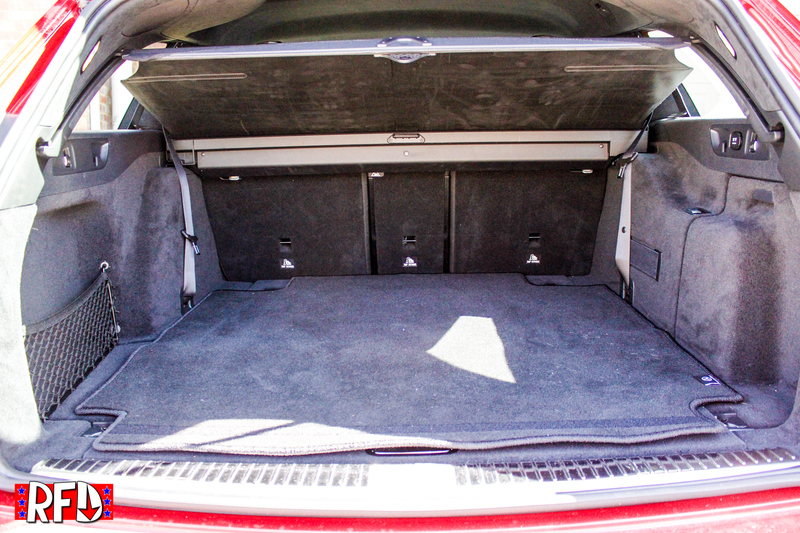 Even if you only see five seats, two are hidden perfectly in under the rear cargo floor. 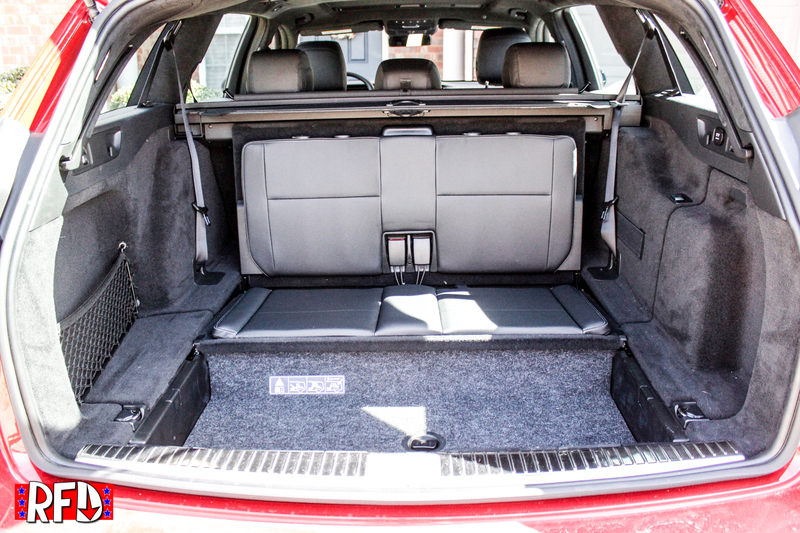 They fold up out of the floor facing towards the back of the vehicle and are and like most SUVs are perfect for kids, but in a pinch two adults can travel somewhat cramped for a short time. 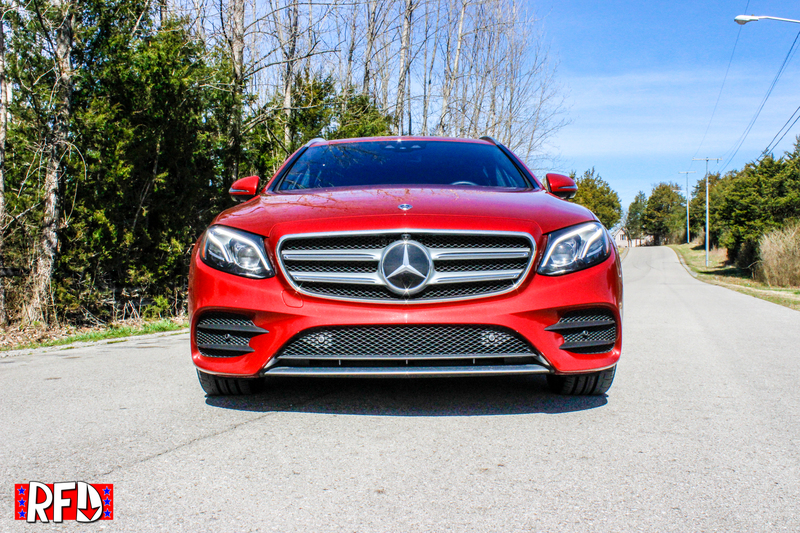 It has a higher luggage capacity than the BMW X5, Lexus RX, and Audi Q5. 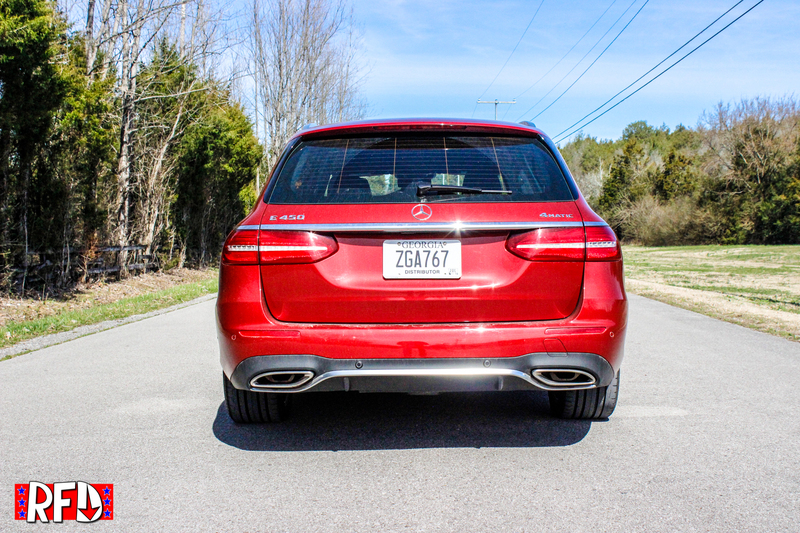 The Mercedes GLE only has a couple more cubic feet on it due to its height as well as being designed as the sister crossover to the E Wagon. With that capability, what really is the point of getting a crossover? If you’re worried about height, with the Air Body Control suspension($1,900), the vehicle will gladly rise to help you get over that ridiculous speed bump or make it easier to ingress and egress. 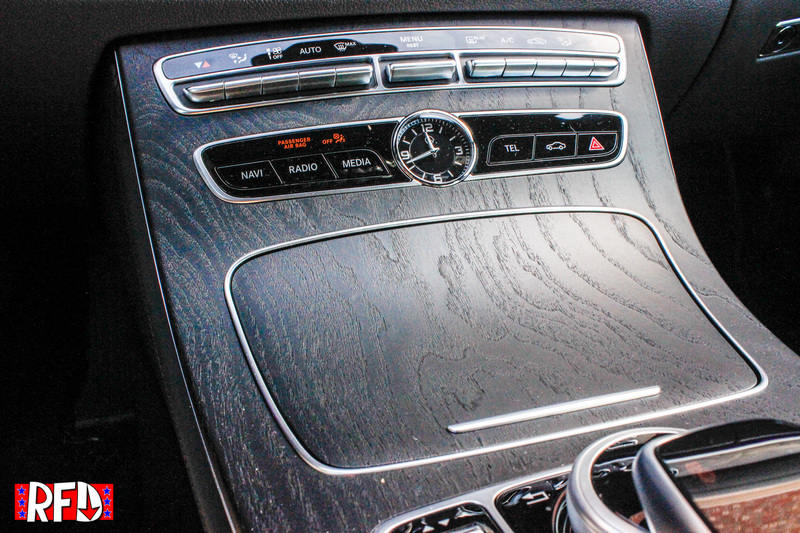 The capability is not the only party trick about the interior on the E450. 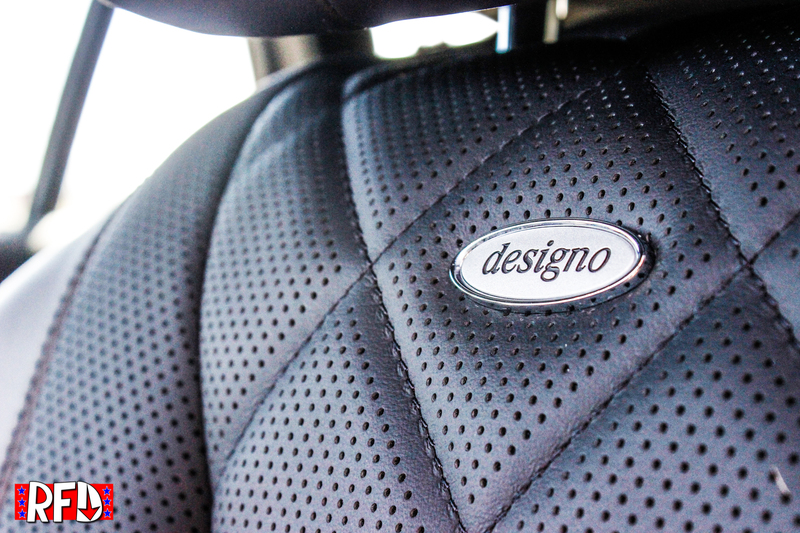 The $4,900 P62 Designo Package gives you one of the nicest interiors of any automobiles south of Rolls Royce and Bentley. Over 250 German artisans work, often by hand, to create these beautiful interiors. 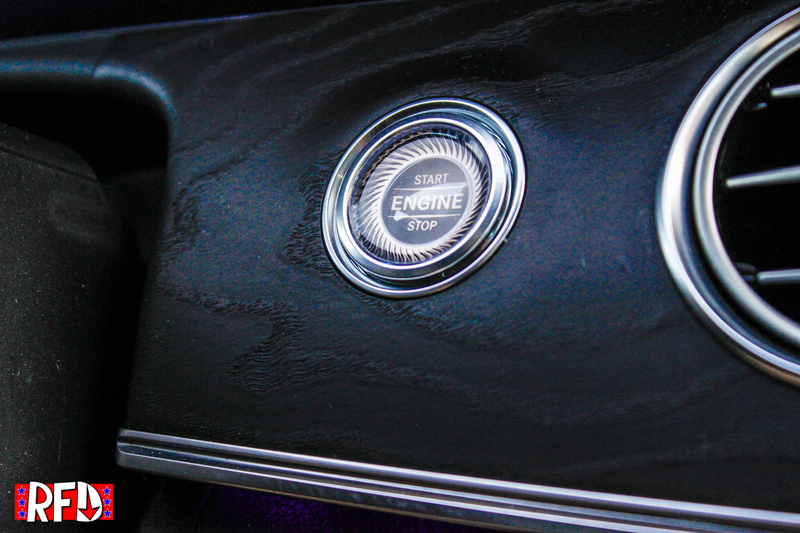 The Natural Grain Black Ash Wood beautifully covers a majority of the dash, upper center console and doors contrasts perfectly against the titanium lining it. 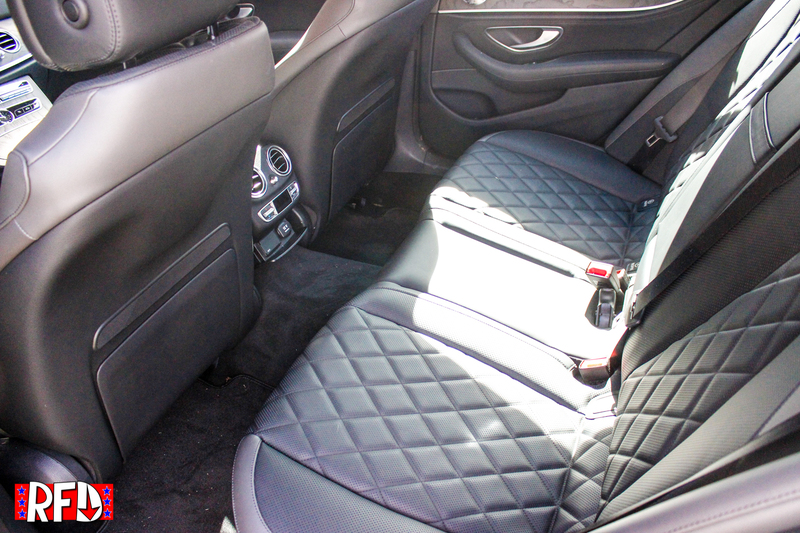 The quilted and perforated Nappa leather seats look great, and also happen to be one of the most comfortable I have graced. They are even on par with the more expensive LX570. 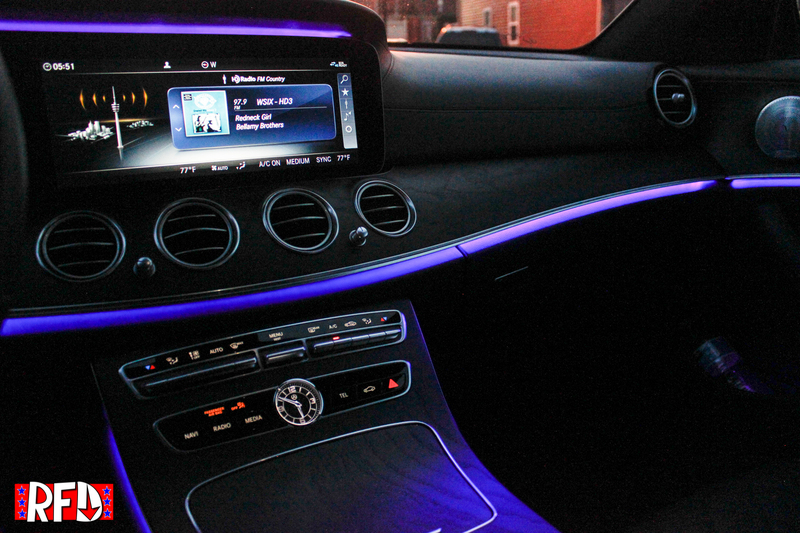 At night the ambient lights sets the cabin aglow. While there are as many colors to choose from as there are options on this car, “Blue Ocean seemed to be the easiest on the eyes while presenting the biggest “show factor”. The best surprise of all though came to me in the features. 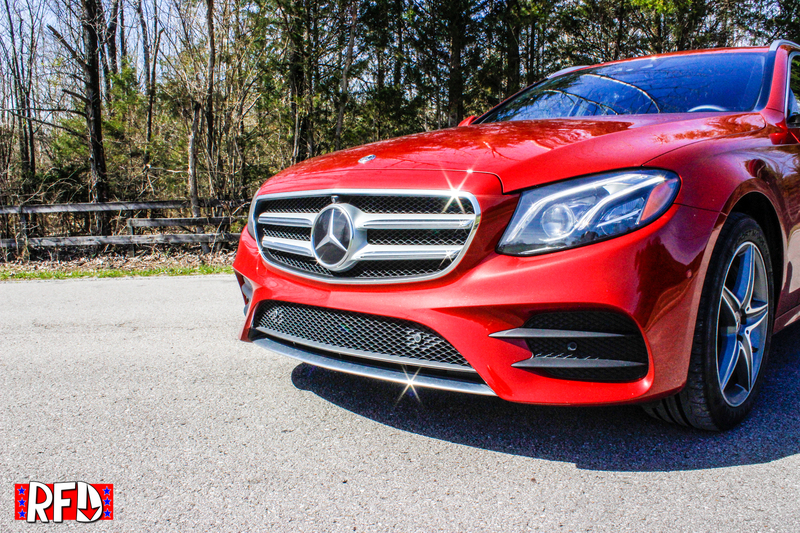 Every time I got in the car over the illuminated door sills with Mercedes-Benz lettering($350) and shut the soft close doors($550), I found a new toy to play with. First it was the previously mentioned lights and then it was the seats which ventilate($450), fast heat($1,050), massage($1,320), and automatic side bolster. With four settings of massage I of course had to sit in the car and try each one. Just sitting in the car might seem boring but with the help of the Premium Package consisting of the Bermeister Premium Sound System($2,600) and the Spin Doctors, I had the most comfortable seat to my own personal concert. 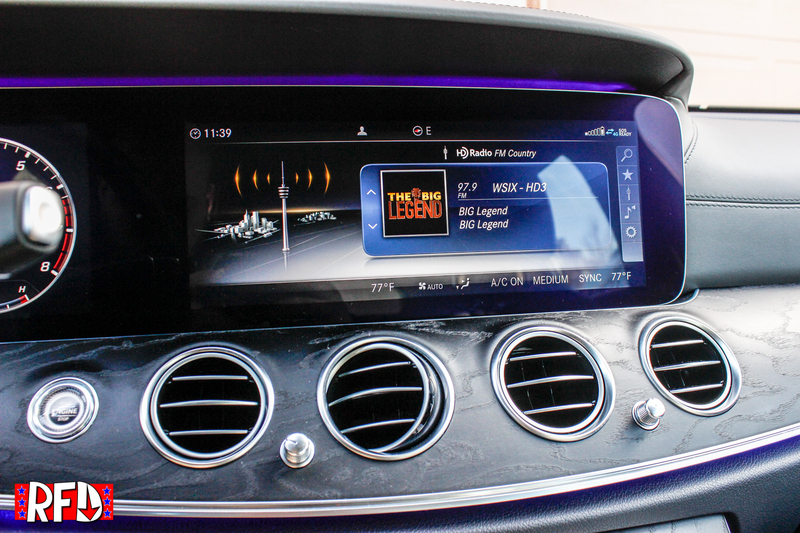 The sound produced by the beautifully designed speakers is as clear as any other vehicle with any other system I have tested. This was also the first concert I did not have the smell of commoners as the three zone climate control($760) circulates ionized and perfumed air($350) throughout the cabin. And the features and dollar signs don’t stop there. 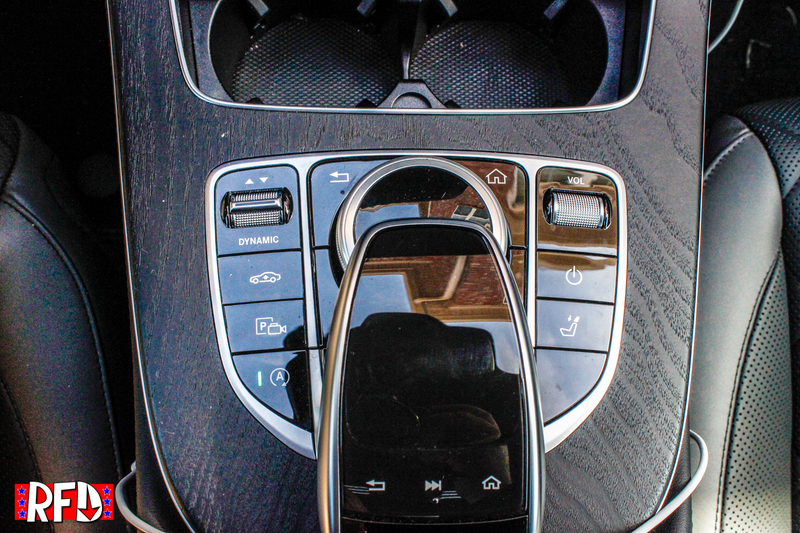 When driving even more features pop up. 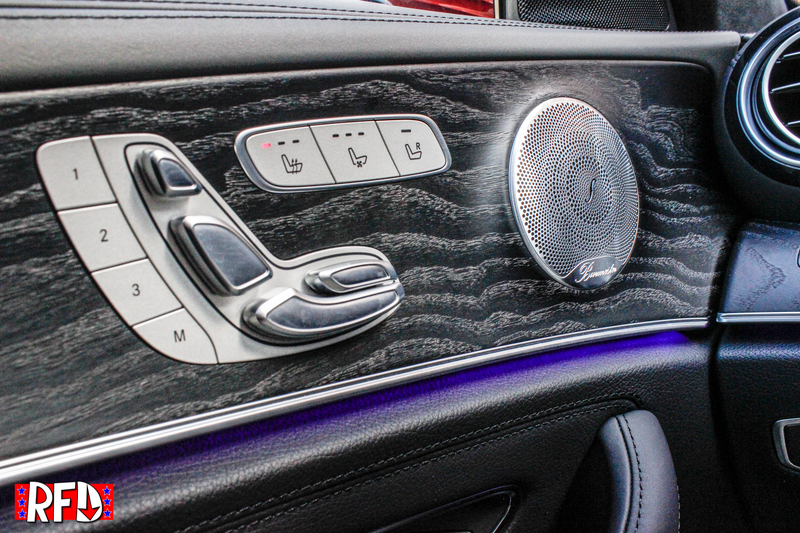 The Acoustic Comfort Package($1,100) eliminates nearly every sound from entering the cabin. Everytime you turn the automatic seat bolsters grab you, pushing your body right back to the center of the seat. 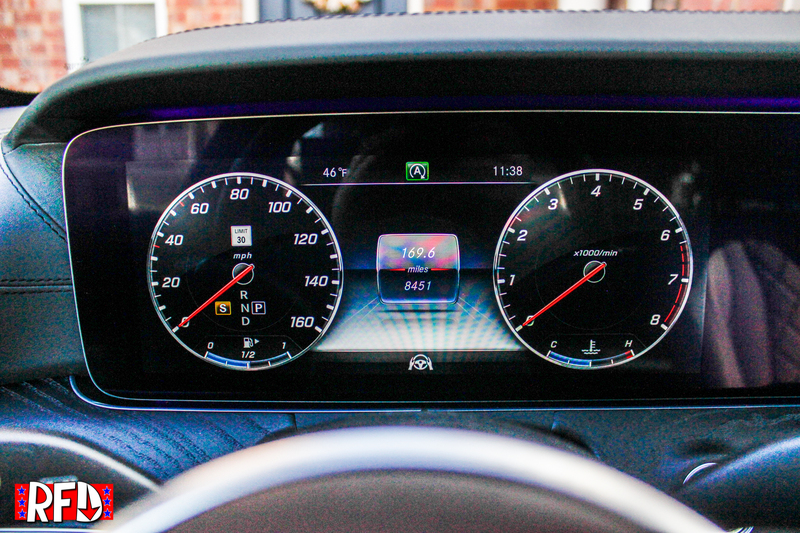 The digital dash, customizable 12.3 inch screen($850) and head-up display($990) ensure everything you may ever need to know about the vehicle including all of the safety and driver assistance package($1,290). 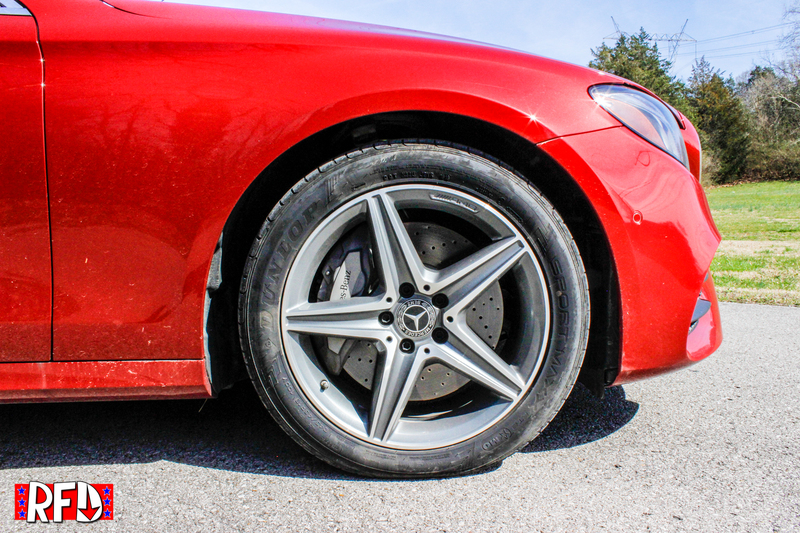 While traveling, the Mercedes can drive itself with almost no true input. While your hand must remain on the wheel(obviously)and lines must visible on the road (also obviously), it will steer, brake and gas better than any vehicle I have tested including the Model 3. 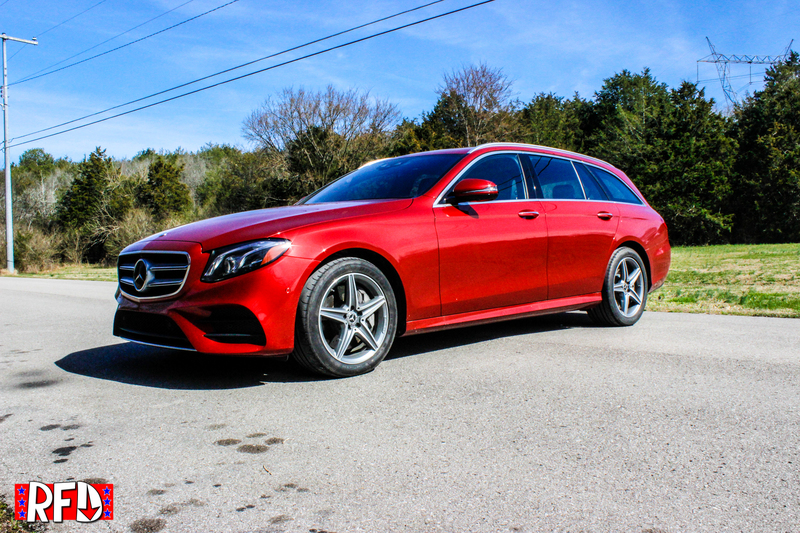 During my, only having to watch the road to ensure safety, allowed me to truly enjoy all of the comforts provided by the AMG line exterior adorned($500), big “Cardinal Red Metallic”($1,080) wagon. It made commuting… oddly enjoyable. And when you get to where you’re going, the parking assistance package($1,290) provides a clear 360 degree view of where you end up. 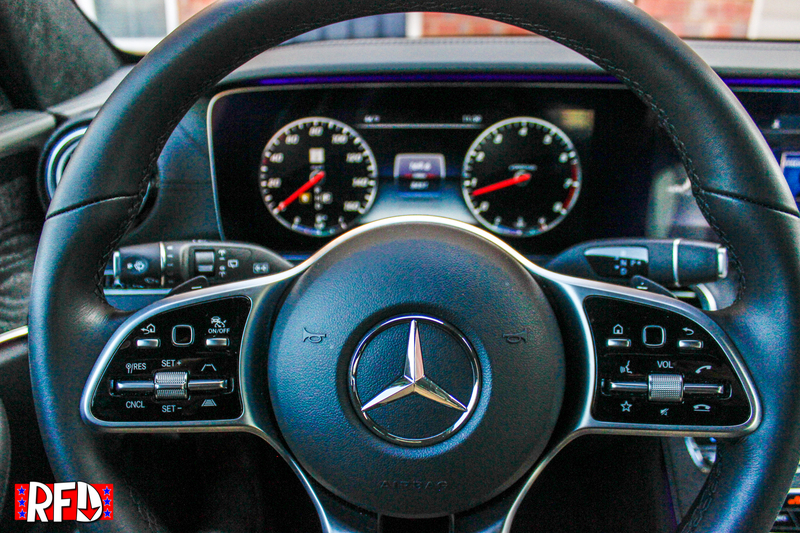 Everything about it is exactly what you want in a vehicle that can do everything. 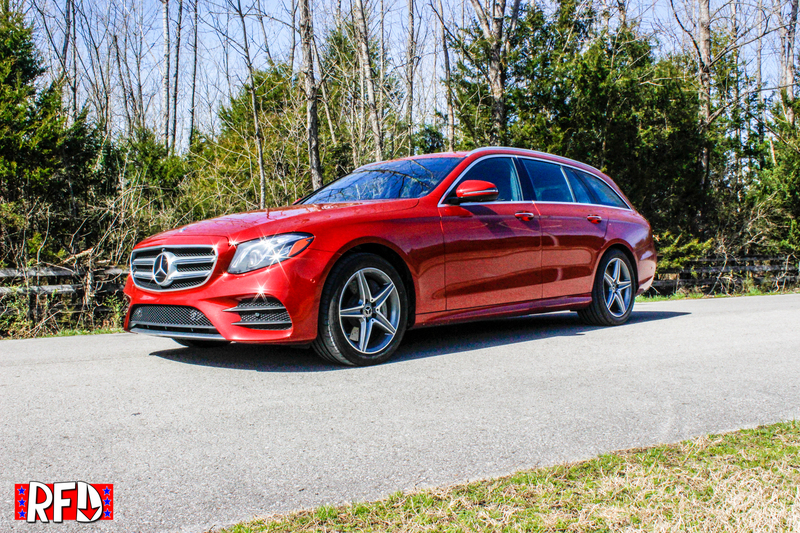 While the stereotype of the wagon lives, it shouldn’t. The wagon is good but this wagon is also great. It’s comfortable, fast, drives like a car, holds either seven people or a ton of stuff and can be fitted with more features than you could imagine. I found myself coveting this car more and more everytime I used it. It was called a mom car, but really, anyone that knows what they truly need out of a car should understand its allure.